Close Airport Car Parking, Easy Access, A Happy Feeling Inside! Returning to your vehicle is just as easy! When you leave just call our office (306-668-3300) and speak with a member of our staff or leave a voicemail letting us know you are done! We will move you out of the parking space and email you the receipt for the days you spent with us! No funny charges or hidden fees. 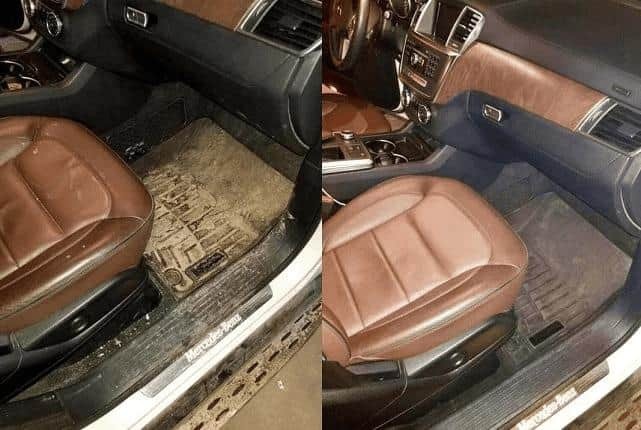 BRITEBOX Storage Co. is now offering a car detailing service that will come to you! Whether you park with us for a week, a month or longer we can arrange to have your vehicle spotless when you return. BEFORE AFTER Please call the office for further details regarding scheduling and vehicle specifics.